The Radiochemistry Society is a scientific and professional organization whose members specialize in both applied and fundamental radiochemistry, nuclear sciences and environmental concerns. The primary mission of the Radiochemistry Society is to support its members in their chosen specialty and to promote education and public outreach for the safe use, handling and benefits of radioisotopes in security, energy, agriculture, environment, food safety and medicine. This is accomplished through seminars, training, scholarships, meetings and exchange of scientific information. 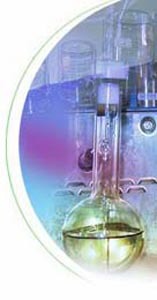 The Radiochemistry Society was formed through the collaborative efforts of many scientists and professionals with the vision of establishing an International Resource that provides governments, agencies, and individuals with the technical support and guidance on issues dealing with radiochemistry, radiometric measurements, medical isotopes, national and international security issues. The Radiochemistry Society is also deeply committed to the education and promotion of young scientists entering this important area of science. Therefore, it provides support for members, provides a non-governmental outlet for resources of: Information, Certification, Accreditation and Consultation to all Stakeholders. There are also public outreach and community involvement efforts and partnerships with the private sector, academia and government. On January 31, 2003 The Radiochemistry Society recieved its 501c3 Non-profit Status from the IRS. The Radiochemistry Society is headquartered in Richland, Washington and is registered with the US Internal Revenue Service as a 501 C 3 not-for-profit organization. This status was established for the purpose of providing scholarships, grants and promoting education and exchange of information within the scientific community. Additionally, this status allows for donations, gifts, grants and endowments to be tax exempt.
.:: Radiochemistry Society © - all rights reserved ::.